Many Google AdSense publishers are reporting unusually high click-through rates (CTR) on their ads over the weekend. Alex Chris posted on Twitter, that "many AdSense publishers report HUGE increase in CTR the last 2 days." Some are reporting 5,000% increases in CTR, such as at this Google AdSense Help thread. In fact, there are dozens of threads with publishers freaking out that their AdSense accounts will be penalized or banned because of the huge spike in CTR over the weekend. You can scan through the most recent threads in the by clicking on these links to threads and discussions in the forums. There are a huge number of publishers incredibly worried about this, which is a good thing - since it is not isolated to just you. It might be a reporting bug or something more serious, either way, you are in very good company. There is no word from Google yet on what is causing the spike in CTR. 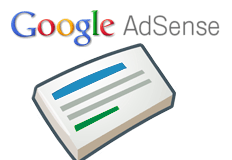 Forum discussion at Google AdSense Help & Twitter. As of April 19th, some of you may have been impacted by a new segment of invalid traffic. Fortunately, Google’s traffic quality systems were able to react quickly to detect this traffic as invalid and treat it accordingly. The invalid traffic between April 19th and April 20th however, was not removed from your estimated earnings. This invalid traffic will be removed from your finalized earnings by the end of the month. As a result, you may see a larger than normal difference between estimated earnings and finalized earnings for the month of April 2015. This invalid traffic is not counted in your estimated earnings as of April 21, 2015, however you may continue to see it reflected in your weblogs as Google does not block the traffic. We work hard to ensure that we maintain a healthy ecosystem for our publishers, users and advertisers. Advertisers have not been charged for this invalid traffic. Previous story: Google Mobile Friendly Label Not Showing On New Stories Immediately?